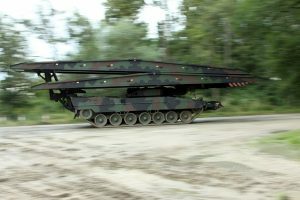 This version of the Leguan is capable of laying and transporting two 14 metre long bridges or one 26 metre long bridge, even under combat conditions. 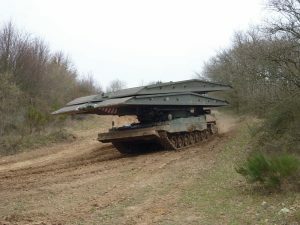 The Dutch army is the sixth user of the Leguan on Leopard 2 chassis. 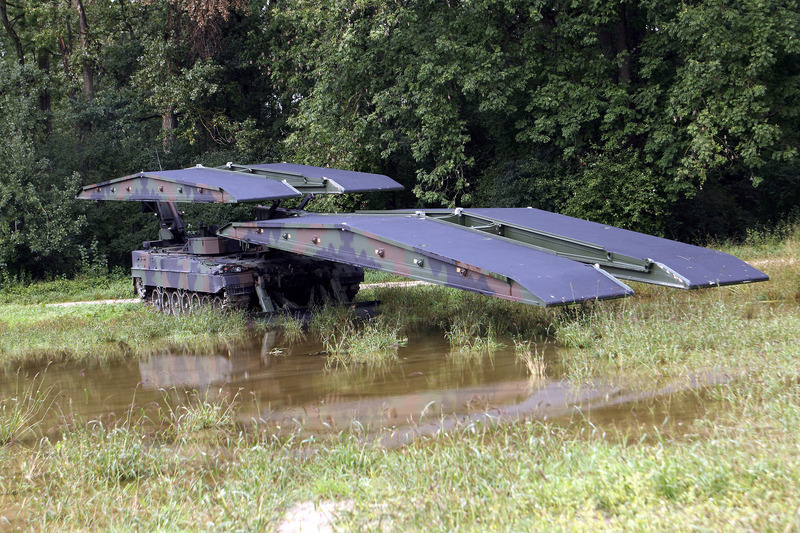 In total, armies from 17 countries operate the Leguan bridge layer system on various mobility platforms. 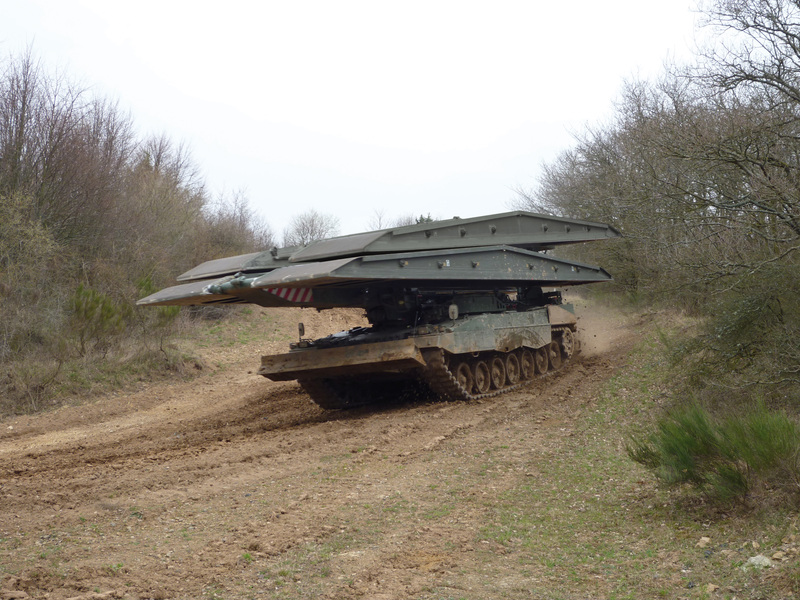 The system LEGUAN LEOPARD 2 unites the well-known very high mobility of the LEOPARD 2 battle tank and the interoperability of the LEGUAN bridge laying system. 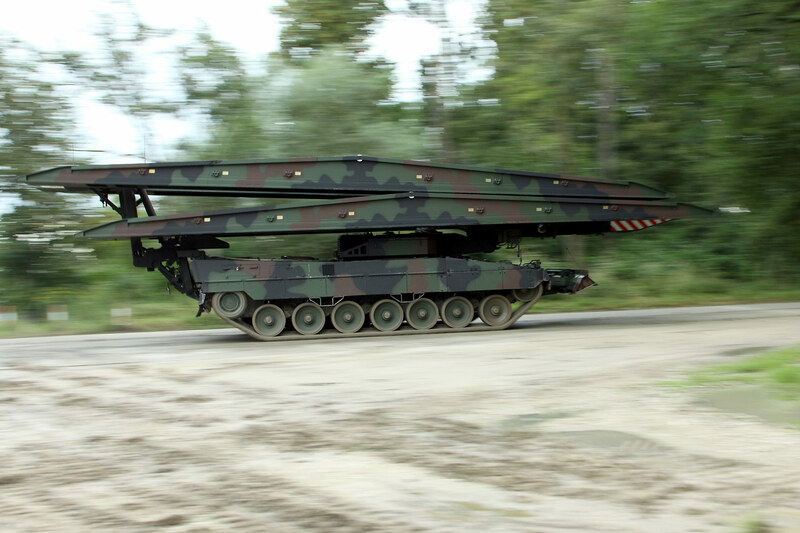 The potential is complemented by the capability to lay two modern 14 meter LEGUAN bridges, as an alternative to the 26 meter bridge deployed all over the world. Besides the highest protection of the 2-man crew, the configuration as well as loading of the bridges is also possible at night. 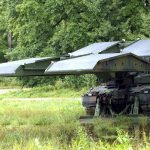 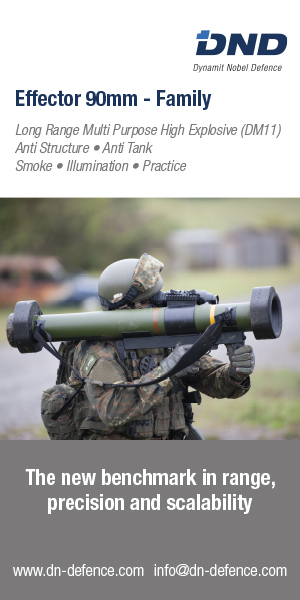 From this results an outstandingly protected, functional and modern weapon system, tested and proven, including all of the necessary peripheral logistical parts. 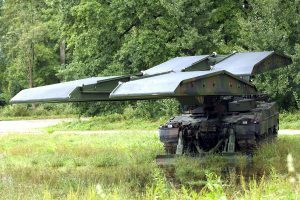 In addition to the tested and proven 26m bridge, two 14m bridges can be configured and loaded independently of one another. These supplement bridges are also interoperable and enable, in combination with the 26 meter bridge, the highest degree of tactical flexibility on missions.